Miracle Toyota is the only Green Certified Toyota Dealership in the Orlando Metro Market! What is LEED and what does it mean to be LEED certified? LEED is an acronym for Leadership in Energy and Environmental Design. LEED certification is a measurement that is used in the United States, as well as countries around the world, to determine a building's sustainability. It gives value to how "green" a commercial building is and it takes into consideration how the building was designed, built and operates. Has the building maximized its location and does it minimize the non-renewable energy usage? The goal is to reduce negative impacts on the environment while improving the well-being and health of those inside the building. 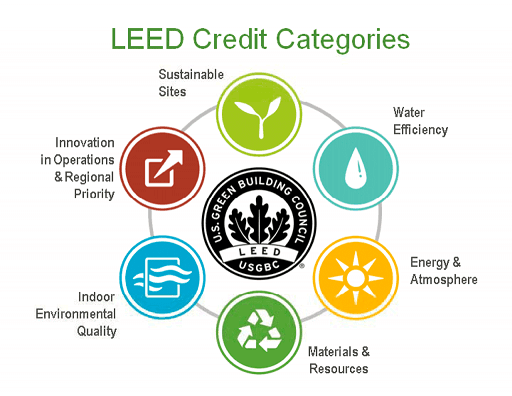 The LEED credits are based on 6 categories. Environmental sustainability was a primary focus in the design of the new facility at Miracle Toyota, which is constructed using regional and recycled materials. The building features LED lighting, energy-efficient HVAC system and low-flow fixtures. In addition, a rainwater cistern has been installed, which not only reduces the dealership's water usage, but can also be made available for the Haines City and Polk County Fire Departments for emergencies. As value-added services for customers, Miracle Toyota provides solar charging stations for electric vehicles, such as the Prius Plug In and RAV4 EV; clinics for new car owners and car washes ; play area for children; a nature walk and more! "We strive to be an environmentally responsible member of this community, and provide added value as a neighborhood business partner," said Mike Murphy, owner and CEO of Murphy Auto Group. "Most importantly, we value our customers and want to provide a pleasant and enjoyable experience for them when they visit us for service or to purchase a new car. The goal is to create a space that makes our visitors want to return."